Shift workers and frequent travellers are very much at risk. Messing with your body's clock is dangerous business. In fact, it could make you sick — or worse. The inner timekeeper, dubbed the "circadian clock", governs the day-night cycle that guides sleep and eating patterns, hormones and even body temperature. It is important enough that the Nobel Medicine Prize was awarded on Monday to three U.S. scientists whose work illuminated the fundamentals of how it ticks. The trio identified genes that regulate the clock, and the mechanism by which light can synchronize it. 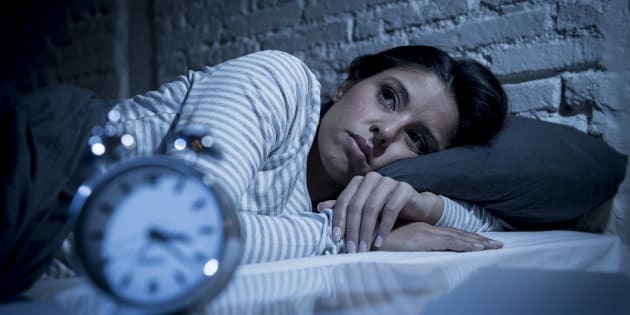 Yet humans have a long history of overriding the circadian-driven need for sleep, Russell Foster, a professor of circadian neuroscience at Oxford University told AFP — the most obvious example being night work. Such tinkering with Mother Nature can have serious consequences ranging from impulsive behaviour to life-threatening conditions such as obesity and cancer, the experts say. Just look at the poor health records of shift workers, such as nurses or factory labourers. The World Health Organization has already raised the red flag, with a 2007 report noting that "circadian disruption" is "probably carcinogenic" — which means cancer-causing. The trouble is that the human body never really adapts to operating outside the normal cycle of working by day, and sleeping at night. Like everyone else, shift workers' biological clocks are set by the rising and setting of the Sun — not their work schedule. "There is no medicine in the world that allows you to... speed up or slow down your body clock," said Claude Gronfier, a neurobiologist at France's Inserm research institute. When workers force themselves to stay awake, it triggers the release of stress hormones such as cortisol — the same one that rushes into your blood in a life-or-death situation. The chemicals may keep you on your feet, but they are a bargain with the devil. For example, cortisol works to suppress the immune system and in the long run can make you more susceptible to a range of illnesses, including cancer. Such a lifestyle also opens one up to eating outside of normal times, when the body's metabolism might be lower and the calories are more likely to be converted into fat instead of being burnt up. "You're raising your heart rate, raising your blood pressure and insulin levels at a time that you would not ordinarily do that," Hugh Piggins, a neuroscience professor at the University of Manchester, told AFP. "Your body is basically not ready for it and you're giving it a bit of an insult." Even short-term disruptions of the circadian clock can wreak havoc with your body. Just think about jet lag. Flying from Paris to Los Angeles deposits travellers nine hours earlier in time, upending eating and sleeping patterns. The results can be blunted interaction with the world and a lack of empathy, complex thinking, or even clear memories. In such a state, people can do "overly impulsive things — jump the red traffic light and fail to see the consequences of actions," explained Foster. Better understanding of the workings of the body clock has opened up a fascinating field of scientific quest. Circadian dysfunction has been linked to depression, bipolar disorder, cognitive function, memory formation and even some neurological diseases. Over the past two decades, scientists have been studying how the timing of administering a medicine can impact how well it works. Already they have found that changing the timing can reduce the toxicity of some compounds. "Now we are moving to the exciting stage where we can start translating some of this knowledge into understanding what happens when these systems go wrong and more importantly to develop new therapeutic interventions," Foster said.